Discounts and Forum Plus: Forum Plus Members: If there are five or more member employees attending this course, you are eligible for a 10% discount on each registration. Contact membership@associationforum.org to take advantage of this discount. This course is part of the Association Management Essentials series designed to meet the needs of entry and mid-level employees. This series consists of half-day explorations into core management essentials to build association potential. Other courses in the series include Membership 360, Legal Basics and Volunteer Engagement. Explain the purpose of Form 990 and how relates to programs. 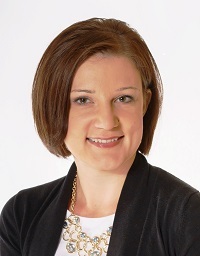 Andrea Wright, CPA, MBA, is a Partner with Johnson Lambert LLP, a multi-office, niche-focused firm that provides audit, tax, and advisory services to not-for-profit organizations, employee benefit plans, and insurance entities. 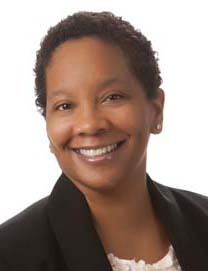 Andrea serves as the Chicagoland area lead partner and also is a leader in Johnson Lambert’s not-for-profit practice. She frequently writes and speaks on industry topics, and she is involved in a variety of professional activities including serving on the American Institute of Certified Public Accountants Technical Standards Subcommittee and the Illinois CPA Society Ethics Committee. Additionally, she is a Board Member of the Association Forum. Andrea holds an MBA from Morgan State University, and a BBA from Howard University. Beata Swacha, CPA, CAE is the Chief Financial Officer of the Appraisal Institute, a global professional association of real estate appraisers with more than 18,000 professionals in nearly 50 countries throughout the world. She has been working with non-profit organizations for 18 years leading their financial planning, accounting, budgeting, tax compliance, operations and information technology functions. Beata previously served as the Chief Financial Officer of Spertus Institute of Jewish Studies and Audit Manager at RSM. She is a Certified Public Accountant and Certified Association Executive. She holds a Masters of Accountancy from DePaul University and a Bachelor of Business Administration from Loyola University.